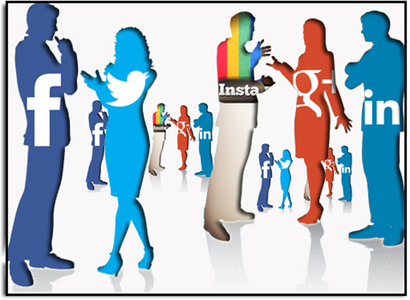 Social networking continues to be a big part of communication for non-profits. And it should. It’s an informal, disarming way to interact with your membership on its terms. When looking at ways to effectively use social media, I’ll focus today on creating community-based social media campaigns, though campaign is too formal a word. You may have heard the metaphor of the bullhorn for how not to use social networking. The bullhorn approach means making a post when you have something to say and not doing much else with your social media accounts. This means too much of a one-way street, and if ever someone didn’t want to communicate this way, it’s a non-profit. Your membership, volunteers, and other supporters make up a community and should be nurtured as one. This means active participation by people who follow your twitter feed and friend you on facebook and so on. John Haydon, co-author of Facebook Marketing for Dummies, asserts that posts that end in question marks generate twice as many likes, shares, and comments as those thudding to a close with a period. It makes sense. And comments mean engagement, since the open-ended nature of a comment from a community member lends itself to another comment, and then, perhaps, a surprising chain of comments that can make members feel empowered, and perhaps can shed serious light on some of the social issues your non-profit is addressing. Sharing articles begets a lot more in the way of comments than news announcements, with the implicit invitation to agree or disagree with the author, etc. These methods should make your members feel valued and enthused in keeping the communication alive. Inviting collaboration also builds community in the social networking milieu. Configure your settings to allow users, friends, etc. to add to your photo albums. Solicit pictures from community members, allowing them to build your photo album. You may come in and add photos after others have had a chance to add theirs, causing the communication to be circular, amorphous, certainly not linear, from you outward.